Need A Website For Your Miami Business? Optuno Can Help. The days where consumers used to find businesses on foot are over, especially since 85% of consumers prefer to locate local businesses on the internet. Let’s face it. If a prospective customer wanted to find the best hot wings in Miami, Florida they wouldn’t get in their car, take out a roadmap and go searching for them. They’re way more likely to just use their phone or laptop to look for the best hot wing restaurants in their area, and voila! IF YOU DON’T HAVE A FULLY-FUNCTIONAL WEBSITE FOR YOUR BUSINESS, YOU’RE MISSING OUT ON MILLIONS OF POTENTIAL CUSTOMERS. However, if you already have a website that’s not quite up to par, you’re still at risk of missing out on these wide-open opportunities. Creating a website isn’t always as easy as it may seem. Sure, there are hundreds of web design agencies in Miami, Florida. Though, a great deal of these agencies charge upwards of $4,000 for a standard website. DIY website builders such as WordPress and Wix look promising, but they never tell you that there are dozens of disadvantages to building your own website. Hiring a freelancer to do the job may be the cheapest option for your small business, but there really isn’t much security to paying a complete stranger to build your website for you. Realistically, every one of your possible web design options has a risk. You could choose to pay $4,000 to receive an agency-quality website from a reputable Miami Beach web design firm. Though, after your website is finished, you’ll likely have to spend more money if you need maintenance or an update installed to your site. You can also choose to spend your nights and weekends developing your own website on WordPress, Wix, and countless other DIY web builders. You can even select an affordable freelancer to do the job from freelance marketplaces like Freelancer and Upwork, where there aren’t any certifications or tests to ensure that you’ll be working with a qualified professional. The choice is certainly yours, but there will always be a risk. LUCKY FOR YOU, YOU DON’T HAVE TO PLAY RUSSIAN ROULETTE JUST TO RECEIVE A GREAT WEBSITE FOR YOUR BUSINESS. There is an amazing option designed just for you so you don’t have to take any risks. Lo and behold Optuno! – Your ultimate web partner. Optuno doesn’t provide ordinary web design services in Miami-Dade County. Our services are specially designed to give you what the other options won’t. And, that’s the right to an affordable, high-quality website for your small business. Read on to learn more about why Optuno can help you receive the website of your dreams and how we’re better than the rest. Websites are a hot commodity, so it’s no wonder why web design prices are so high in Miami. Still, that’s no reason for you to pay more than what you have to for a website. Optuno was built with your best interests in mind, and we don’t charge a fortune for our services. E-commerce retailers, you get a deal, too! Here at Optuno, we don’t believe that you have to spend more to receive a great website for your business. An Easy Guide to Website Content: Content is king! All of our customers will receive an Easy Guide to Website Content to learn more about how they can create amazing content for their website. Mobile-Friendly Web Design: Did you know that 60% of all online searches come from mobile devices like smartphones and tablets? We provide all of our customers with a 100% mobile-friendly web design to help them make their website a great experience for visitors. Unlimited Design Revisions: It’s important to us that you receive a design that you love. That’s why our experienced Miami web design specialists will provide unlimited design revisions until you’re completely satisfied and ready to go live. Easy to Use CMS: Many DIY web builders are difficult to use. So, we’ve created our own, called FICMS. This system gives you the ability to easily add new pages to your website and update your content all on your own with no previous computer knowledge required. Submission to Search Engines: Once we’re finished with your website, we’ll submit it to all the major search engines (Google, Yahoo, and Bing) to make sure your business is visible to your prospective customers. Email Support: Got a problem with your site? We’re always available around the clock. All you have to do is email us at support@optuno.com, or log in to your Optuno Control Panel and submit a support ticket. We’ll always reply to your requests with lightning-fast speed. Money-Back Guarantee: Need we say more? If you don’t like what you see, we’ll give you your money back without any hassle or gimmicks. As you can see, you can get a lot of bang for your buck with Optuno’s affordable prices. Even when your website is complete, our services don’t stop there. Take a look at another reason why Optuno is your premier web design agency in Miami-Dade & Broward County. We Manage Your Site So You Don’t Have To! There’s a lot that goes into managing a website. In a perfect world, you shouldn’t have to manage your website. Instead, you should focus on running your business. Unfortunately, this isn’t the case with most web design companies, DIY website builders, and freelance developers in Miami. Web Design Agencies: Once your website is done, that’s it. There’s no free maintenance if you need an update done or if you have an issue with your site. Unless you’re willing to pay a pricey retainer fee, which usually runs at about $150 per hour, you’re stuck handling these things on your own or hiring someone else to do it for you. Either way, you’re going to be at an inconvenience. DIY Website Builders: Wordpress and Wix like to throw around the fact that their CMS is simple to use. Trust us, this isn’t true. Updating your site is a hassle with these web builders, and most small businesses don’t have the time to learn how to use these difficult content management systems. Freelancers: Freelancers are only concerned with making money. This means that if you have an issue with your website that will interrupt their schedule, they’ll likely charge you a maintenance fee just to update your site. No one should have to pay for ongoing maintenance, especially if it means they’ll have to manage their website themselves. Here’s how things should go. You should pay for a website, provide as many details as possible about what you want and then get out of the way! However, that’s usually not possible when using a DIY website builder or an unreliable freelancer who has to be spoon fed every little bit of information. But guess what? Optuno is different. When you sign up for one of our website packages, we will prompt you to select a design that fits your brand. Once that’s done, our development team will handle the rest so you can do what you love – running your business undisturbed. Sure, this is true. In most situations, if you pay for a cheap product or service, the value you’re going to receive will reflect what you spent. And, with most Miami web design agencies, this is also a fact. Usually, if you do make the horrible mistake of paying more than $4,000 for your website, you’ll almost always receive at least a decent quality website, because after all you did pay good money for it. On the other hand, if you choose to pay a cheap freelancer to build your site, you’ll only be digging your own grave. Lucky for you, Optuno provides the best of both worlds for our customers. By choosing us for your web design project, you’ll never have to rob a bank just to receive a website. And, you’ll certainly never have to worry about the quality, either. Optuno prioritizes building high-quality, fully-functional websites and at a fraction of the cost. Don’t take our word for it. Just ask our current customers who absolutely LOVE what we provide. If for some reason you don’t want to believe them, keep reading. 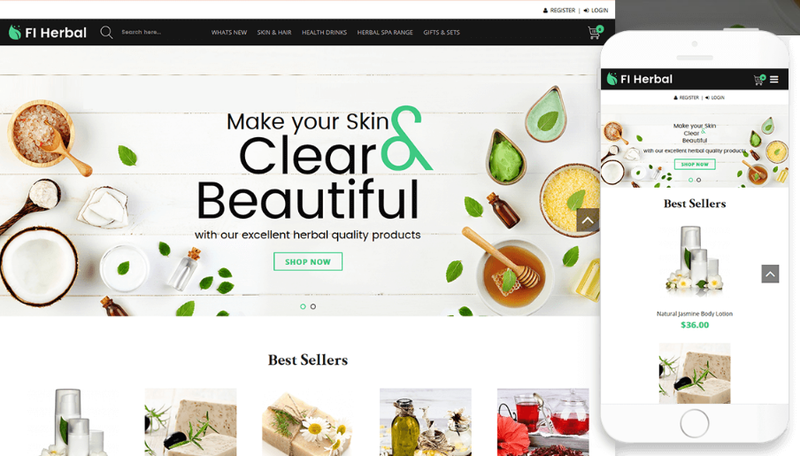 Let’s say you want to show off your incredible herbal products on your website. Take a look at this great design from our Theme Library. For just a small monthly fee, you can make this design yours! All you have to do is visit our Plans and Pricing Page and choose the plan that fits within your budget to receive a beautiful, brand new website for your small business or store. You Get The Website You Want! At Optuno, we make it our mission to provide our customers with the exact website design they’re looking for. We prioritize customer satisfaction, and here’s how we do it. Once you place your order, you’ll be asked to go through our simple onboarding process. First, we will ask you to choose an available domain name to purchase for your website. If you already have a domain name, we’ll connect it to your site for you. Next, you’ll be asked to pick a website design from our Theme Library, which will be used as an inspiration piece to create your new website. Finally, we’ll present you with an online questionnaire that will help us quickly grasp your goals for your website, your target market, and your business needs. Have a cup of coffee, fill it out, and get this back to us when you can. If you have any questions or concerns during or when your website is finished, just log in to your Optuno Control Panel and open a support ticket. We promise we’ll get back to you within 24 hours! It’s that simple! Our monthly subscription service relies heavily on the satisfaction of our customers. So, we’ve built a system that ensures that you’ll always receive a quality website according to your standards. In the unlikely event that you aren’t satisfied with your website, just let us know within 15 days of receiving your first draft and we’ll give you your money back – 100% guaranteed! Everything is D.B.O (Done By Optuno)! I’m going to tell you a secret you probably shouldn’t know. Many website design agencies in Miami-Dade & Broward Counties take on so many projects that they have to outsource their work to freelancers, and even other agencies. As a result, your website project is shuffled around and delayed until everyone can finish their job. For the amount you’re paying, this is unacceptable! On average, typical Miami web design firms spend at least 14 weeks to develop a single website. Freelancers may take a little bit longer to develop your website, mainly because they might not have the same resources as a large web design agency. However, if you want to build your own website, it may take you months to create a website you’ll actually be happy with. 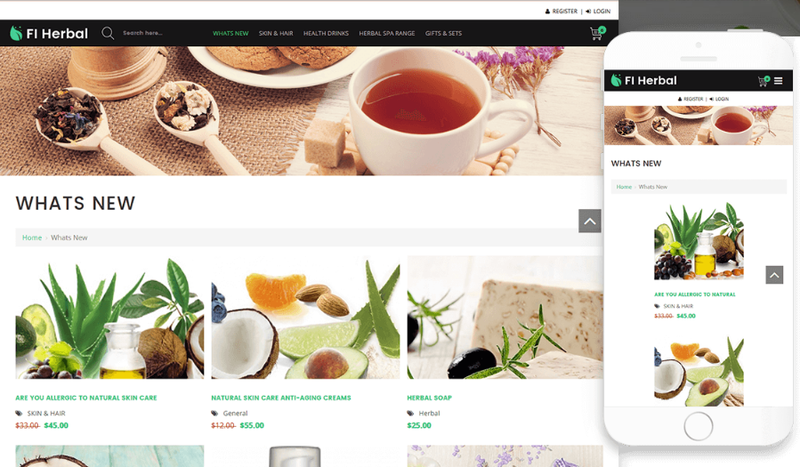 With Optuno, did you know that you can receive a brand new website for your small business or store in as little as 48 hours? That’s right. Optuno has the fastest development times in the business. For our traditional single page website, we can finish your website in as little as 48 hours. If you want an e-commerce website for your online store, give us 10-14 business days and we’ll work our magic to give you a website you’ll be proud of. And, everything is D.B.O (Done By Optuno), of course! It takes much more than a website to succeed online. Sadly, many web design companies in Dade & Broward County, including freelancers, are one-trick ponies. That means after your website is finished, you’re stuck figuring out how to do your SEO, social media, and blogging all on your own. That is unless you want to spend more money finding a company that will handle these tasks for you. However, it’s much simpler to choose a web design agency in Miami that specializes in all of the tasks your business needs all under one roof. Fortunately, Optuno not only develops websites, but we are committed to your long-term success. Managed SEO – Your website is just a sitting duck if you can’t get any online traffic. Our managed SEO services are specially designed to give you awesome, targeted traffic so your business can be found online by your prospects. Guest Post & Blogger Outreach Service – If your website is mentioned across the internet, this indicates to search engines like Google that your site is popular – increasing your online ranking. Using this service, we will reach out to popular websites in your niche, establish a partnership, and have them link back to your website – giving you increased website traffic and a higher web ranking. Local SEO – Do you want to dominate your local competition? Our Local SEO services use data-backed techniques to give you an edge over other local businesses and stores. Press Boost – Writing and distributing a press release can benefit your SEO in a big way. We have press connections with high-quality news distribution channels such as the Associated Press, Lexis News, Comtex, and more. Just tell us what you want to say, and we’ll make sure your voice is picked up by hundreds of news outlets. Backlink Booster – A backlink is a link to your website from another site. Backlinks help show search engines that your website is important and has value. Our Backlink Booster service generates organic and powerful backlinks for your site so you can show your audience that you matter! Premium Blog Writing Service – Content is king! Creating a blog for your business is important for promoting your business and establishing yourself as an authority in your industry. Let us handle your blog for you, so you can engage with your customers and increase your web rankings with amazing content! Contextual Link Building – Need more online exposure. We’ve got just the thing with our contextual link building service. Using our cutting-edge link-building strategy, your business can be featured on 50+ private networks. Social Media Posting – Many businesses don’t have time to manage their own social media. That’s fine. Optuno provides Instagram and Facebook page posting for businesses looking to establish a social presence. As you can see, we are much more than a web design agency! Even after your website is complete, we offer a variety of additional services for you to market your business online. Are you planning on building your own website? If so, you should probably take note of this fact. If you are developing your own website on platforms like WordPress or Joomla, you could risk jeopardizing your own security. WordPress and Joomla both contain open-source code. This means that their code is “open” to virtually anyone, even hackers. Hackers can exploit these open source website platforms to steal your customers’ data and plant viruses on their devices. According to WP White Security, 70% of WordPress sites are vulnerable to cyber-attacks. That’s not all! Take a look at the website platform that was hacked the most in 2017. We’re not making this stuff up. Your website isn’t secure with WordPress, or any other open source content management system (CMS) for that matter. Considering the fact that 30% of all online websites are powered by WordPress, this is a pretty big deal! That’s why Optuno provides a better, more efficient security option for our customers. Hosting Security – The firewalls on all of our servers are multi-leveled and perform various user tracking functions on top of standard filtering including integration with ModSecurity (mitigates XSS, SQL injection attacks, brute force, etc), SPI (stateful packet inspection), service monitoring (access by FTP, port scans, multiple invalid password attempts) among other various supporting functions. Should anything trigger one of these functions, a block is made automatically. Multiple Safeguards – All Optuno accounts include 2x daily backups of our customer’s data and are hosted and protected by our sister company EndLayer, LLC in our 71,000 square feet data center. The data center is built to the highest standards with N+1 power and cooling redundancy, anti-static flooring, wet and pre-action fire protection and advanced proximity and biometric security controls. Login Trade Protection – Our state-of-the-art security module catches and alerts you of compromised accounts before you lost any vital information to hackers. This module also protects you from leaked passwords and usernames by detecting when multiple IP addresses are attempting to use similar information to log in. Our security module will block these addresses and notify you about this suspicious activity. Optuno prioritizes our customers’ security, and we’ve built every measure to ensure that your website is safe from enemy hackers at all times. 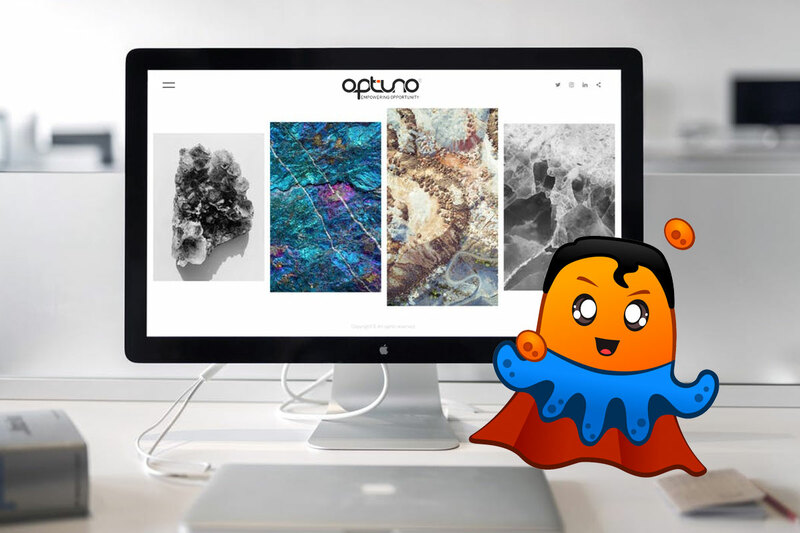 Whether you’re starting a new business in Miami-Dade or Broward County or if you want to revamp your existing website with a new design, Optuno has you covered. If you’ve made it this far, you’ve already learned about the amazing things we provide for our customers. WANT TO JOIN THE OPTUNO FAMILY? It’s as simple as visiting our Plans and Pricing page, selecting the package you want, and moving forward with your own, custom website design. Let us design a brand new website for your Miami business today. Give us a call at 1-888-678-8662 if you have any questions about our services, or if you would like to get started today!